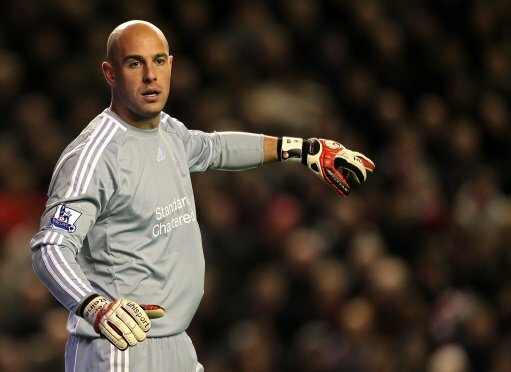 Both Manchester United and Arsenal have pricked up their ears after Pepe Reina hinted that he may be willing to leave Liverpool as early as next summer and that he wouldn’t be interested in a move back to Spain. “I signed a six-year deal seven months ago and I’m happy at the club, but every footballer wants to be competing for trophies and winning things. Reina is reportedly willing to activate the £20 million release-clause that was written into his mammoth contract which becomes operable as of next July. Just when things were beginning to look up. This could be construed as a Rooney-style bargaining ploy on Reina’s part, in that it more or less pressures NESV to get their chequebooks out in January – although it’s hard to imagine the usually amiable Spaniard being that contrived. Perhaps, for a ‘keeper of his considerable quality, an 2006 FA Cup winners medal just doesn’t cut the mustard in terms of personal honours, and it’s hard to argue that his world-class talents don’t warrant a fair amount more in the way of domestic silverware but, alas, that’s not the way these things tend to work. If anything, it looks like he might be after a move to Inter. That’s what those quotes hint at more than anything. I don’t think we’re stupid enough to sell the best keeper in the the league (IMHO) to anyone else in the same division. If he goes, he is DEFINITELY not going to any other BPL team. Seems like he wants a reunion with Senor Benitez. I say grant him his wish and sign Stekelenberg (sic), Akinfeev, Lloris, De Gea, etc. Reina has been brilliant and he deserves to be winning honours every season, something we can’t guarantee him at this point in time. Considering Liverpool aren’t in the Champions league i can’t see any reason why any of the keepers you’ve listed would want to move there. Nah, he’s not going anywhere.